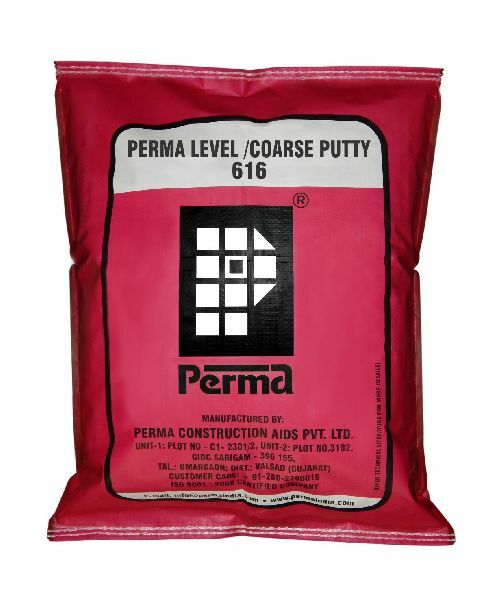 Perma Coarse Putty is a fine powder in white color based on white cement. Selected polymers and Fillers. For creation of level surface for application of line putty to the walls and ceiling. lt can be used on plasters, HCC or brick or block work directly. Packing : Perma Coarse Putty is supplied in 20 kg & 40 Kg.